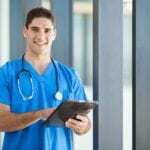 Choosing to be a Licensed Practical Nurse (LPN) is a great decision. Many LPNs already know the great benefits (both emotional and tangible) and incredible opportunities of being a licensed nurse. While the occupation is not the right choice for everyone, if you have an intense desire to pursue a financially rewarding career caring for others, you’ll find that the occupation satisfies on a personal and professional level. The occupation is among the fastest-growing in the US. LPNs account for approximately 22 percent of the healthcare industry, and demands will increase in response to the aging population and shrinking workforce. There’s a wide range of specialties and lots of opportunities for advancement with further education. Recent nursing graduates must take the NCLEX-PN for licensure with the Alabama Board of Nursing before practicing at hospitals, nursing homes, physicians’ offices and other healthcare facilities. Entry into any one of Alabama’s 22 board-approved practical nursing program is a competitive process. The projected demands for qualified nurses compel hundreds of eager candidates to seek training in preparation for a rewarding career as an LPN. Due to constraints on classroom space and faculty, the schools turn away hundreds of qualified applicants each year. So while securing employment after graduation may be fairly simple, getting the essential education is an obstacle that many must overcome. Eligibility requirements vary widely. Standard requirements include a high school diploma and success on the entrance exam. Attendance at the mandatory orientation session, a criminal background check, TB test, drug screening, immunization, physical exam, CPR card, and letters of recommendation are also common requirements. In the highly competitive selection process, applicants with college credits in medical terminology, chemistry, anatomy, and physiology may stand a better chance of successful entry into the program. The practical nursing plan of study at Alabama’s approved colleges includes anatomy, pharmacology, mental health nursing, fundamentals of nursing, health assessment, pediatric nursing, and adult nursing across the lifespan. Teaching methods will include classroom lectures, practice in the lab, and supervised clinical experience where students use their knowledge in a practical setting by caring for patients and filling the roles and responsibilities of an LPN at a community hospital or nursing home. In your search for the right practical nursing program, it is important to choose wisely as your decision will impact the outcome. The ABN maintains a history of the NCLEX-PN pass rates of board-approved programs. Use the information as a guide to help you choose the right school and increase your chances of success on the exam. Keep in mind that there are other factors that will determine your success, including your study habits, the interim between graduation and testing, and your motivation to succeed on your first attempt. Duration and Cost of Training: Nursing education programs are 10 to 12 months for full-time students. Where there are part-time options available, you can complete the program in 18 to 24 months, but remember, part-time training will cost more in the long run. The estimated cost of tuition for practical nursing programs in Alabama is $7,100 plus an additional $2,000 for textbooks and supplies. Other expenses include medical supplies, administrative fees, transport to and from clinical sites, and uniform. Financial aid may be available via grants, scholarships, and federal and private loans. The National Council Licensure Examination, NCLEX, is the final step in becoming a licensed nurse in the United States. Nursing graduates must pass the NCLEX-PN in Alabama to become Licensed Practical Nurses. The ABN determines your eligibility to take the exam, so it is important that you contact the Board with questions specific to your eligibility for licensure. Also, you must submit your application for licensure by exam the same time you submit the application for registration with Pearson Vue – the approved testing service. Register online and pay the $200 fee using a credit/debit card. Your employer or nursing school can also pay the fee with prior arrangement. Register via telephone by calling the toll-free number (866) 49N-CLEX (1-866-496-2539) and pay using a credit/debit card. Register by mail after creating an online account. Print a payment voucher and mail the payment using a cashier’s check or money order. Once the ABN confirms your eligibility to test, Pearson Vue will mail the ATT letter containing the validity dates. First-time testers must schedule and take the test within 90 days- there are no extensions. 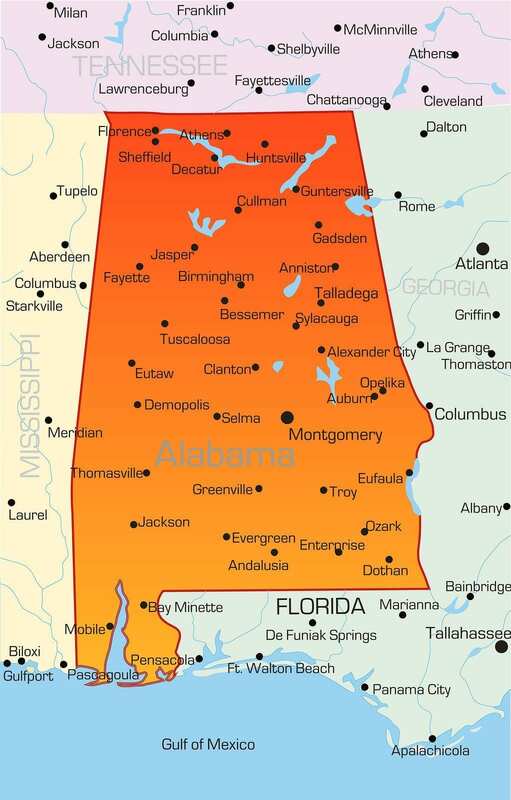 There are five testing locations in Alabama – Montgomery, Birmingham, Dothan, Mobile, and Decatur. Testing centers are open 6 days a week and up to 15 hours a day based on demand. Arrive on time for the appointment and provide valid identification – driver’s license, U.S. military ID, or passport. The Candidate Bulletin is a valuable resource that every candidate should read. It contains information on scheduling the exam and what to expect on exam day. It also provides insight into the exam content, which is computer adaptive, meaning you can take anywhere from 75 to 265 questions based on your responses. In Alabama, you can use your confirmation number to obtain your official results online within 24 to 48 hours of taking the test. If you fail the exam, you must wait at least 45 days before retesting. Retesting requires new applications to Pearson Vue and the ABN. In an effort to safeguard life and public health, the Alabama Board of Nursing requires any person practicing or offering to practice professional nursing for compensation to submit evidence of his or her qualifications and apply for state licensure. It is unlawful for an unlicensed individual to practice professional nursing for compensation in Alabama. A nurse graduate offering to practice as a practical nurse shall submit evidence of qualification, including evidence of good moral character, high school completion, and successful completion of a nursing education program (approved by the Board), and U.S. citizenship or legal residence. 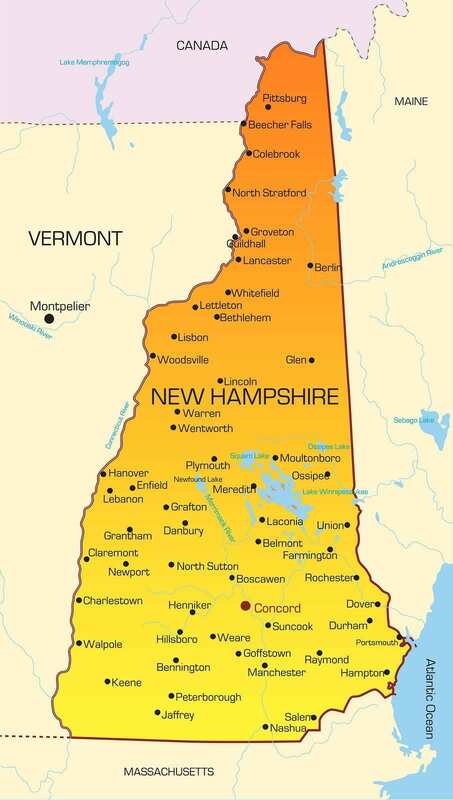 An applicant can obtain state licensure by examination, endorsement, or by temporary permit. Read the instructions carefully and submit the online application for Licensure by Examination. Request an official transcript from your nursing education program – sent in a sealed envelope from the school of nursing directly to the ABN. The application fee of $85 paid online using a credit card. Include an additional $50 for the temporary permit (optional). Register for the NCLEX-PN. Registration is available online or by phone (1-866-496-2539). Include documentation (court documents, board orders, explanatory letter) for any “yes” answers to the Regulation questions. Request the temporary permit if you’re applying for licensure by exam for the first time. The 90-day permit is optional if you want to begin practicing. The Board will grant the permit after approving a completed application for licensure by exam. Applicants from outside the U.S. must present a valid SSN, certification from the CGFNS (including a full course-by-course evaluation package), evidence of secondary school completion, and pass the NCLEX. The temporary permit grants authorization to practice as a nursing graduate under the supervision of a licensed registered nurse. The permit will expire after notification of licensure approval, or disapproval, or failure to pass the examination. The applicant must notify the employer immediately upon notice and cease practice. If you need special accommodation for the exam, you must submit a request with the application for licensure. The request should include an evaluation of your disability from a licensed physician or psychologist, a statement from the Office of Student Disability Services specifying special accommodations made during the nursing education program, and your statement requesting specific accommodation. Notify the Board immediately if your address changes after submitting the application for licensure. You must submit new applications to the Board and Pearson Vue if you fail the exam. If you’re licensed in another state and wish to practice in Alabama, you need to apply for licensure by Endorsement. A completed Endorsement Read and follow the instructions to avoid delays. The endorsement fee of $85 using a credit or debit card. The fee for the optional temporary permit is $50. License verification from your original state of licensure. Contact the licensing agency and request verification of your license to be mailed directly to the Board of Nursing. You should use Nursys if your state of licensure participates. Official transcript from the nursing school. Contact the school to request the transcript indicating the type of degree and date conferred. The school should mail the transcript to the Board of Nursing. Continuing education requirements. Your continuing education should not be older than 24 months from the date of your application for endorsement. Mail or fax the CE certificates to the office. Proof of U.S. citizenship or lawful residence in the United States. A notarized copy of your current/active license card if requesting a temporary permit. The license card should indicate the license effective dates. To qualify for a temporary permit, you must complete the endorsement application, pay the fee, and provide citizenship documentation and a notarized copy of your current license. There may be delays in issuing your temporary permit if you answer “yes” to the regulation questions. You can check the status of your endorsement application using the Endorsement Status Check. LPN licenses must be renewed biennially. Licensees must apply for renewal by submitting a renewal application and fee during the renewal period. If you fail to renew your license, the Board may issue a reinstatement upon receipt of an application and fee. It is unlawful to practice professional nursing when your license is in lapsed status. Practicing during this time will result in penalties. LPNs must complete 24 CE hours during the two-year period to qualify for renewal. Actively deployed LPNs may renew or reinstate their licenses without penalty. The LPN must provide a copy of the military orders. The request for renewal/reinstatement must be submitted while still in armed services or no later than 6 months after discharge from active duty. New college graduates have a difficult time finding jobs, but nursing graduates can rest easy as long-term projections predict huge demands for their services. The LPN workforce in Alabama is projected to grow by 25% between 2012 and 2018, according to data released by the U.S. Bureau of Labor Statistics (BLS). During this period, the LPN workforce is expected to grow from 17,961 to 22,451 – an increase of 4,490 new jobs. The healthcare sector will need an additional 1045 new nurses to replace retirees and those who advance to other positions in healthcare. The occupation is poised for extensive growth, so it’s an exciting time for new graduates. However, it is vital to examine the factors that drive demand. The aging population with increasing life expectancy is the number one contributor to demands for LPNs. The prevalence of chronic diseases, heightened awareness of preventative care, and more access to health care under the Affordable Care Act are other factors that fuel demands for more nurses. A close evaluation of the contributing factors for demands reveals why the majority of vacancies occur in long-term and home health care settings. While a few LPN graduates are fortunate to land positions in hospitals, the vast majority work in nursing homes, assisted living facilities and patients’ homes. The demands are not always the same; it occurs in cycles influenced by new graduates and retirees – a few retirees put off retirement for numerous reasons. Some regions within Alabama are more fruitful than others. LPNs in Alabama earn a median annual salary of $35,570. That’s the rate of passing boards from what year? Actually most LPN programs are 12-16 months. While most RN programs are 2+ yes. Evidently Brittany you are severely misinformed about something. Most RN programs are2 yrs long here in Ala. The only way you can become an RN in one years time is through LPN mobility program — you have to already be an LPN for that. Lpn is one year here in AL, not 18 months though. Ok but I see what you are saying. LOL! I prefer being an LPN it’s not all about the money and if that’s your reason for being a nurse find another career. Thats you preference i would like to be an RN..that’s my preference..and is not all about the money but i have family just like the families that LPNs take care of families..and like everyone else including you..i have bills…i wanted a job that was rewarding and allows me to be financially stable for my little ones…being an RN gives me that..and since when does bettering myself make me a bad person? A nurse is a nurse. Your no better than me..or otherwise..we all want to help people if you dont want to help people then why be a nurse….be negative on your own post..thank you..
BrittanyProvitt You can do lpn then RN so you can at least start making decent money until you achieve your desire goal with this rout it will be close to two years all together and still be a nurse within a year. They’re doing away with lpn’s now. A lot of places won’t hire lpn nurses anymore unless they have a good couple years under their belt. That’s a lie still demanding as ever! I am a travel nurse and most hospitals now have weeded out their LPNs. Some have made them go back to RN school and have deadlines to do it by or lose their jobs. I was an LPN first and definitely wish I had spent the other few months and just got my RN license in 1998. Lpn have always ran the nursing home for real anyways and the demand there is still as high as ever. Pell Grant. My entire LPN program paid for. I’ve made triple that money the govt paid out for nursing program. Best decision I’ve ever made. I can’t get enough to go back to school. I’ve tried. Hmmm.. Have you tried the WIA program through your local career center? The hitch is you have to be already in the program.